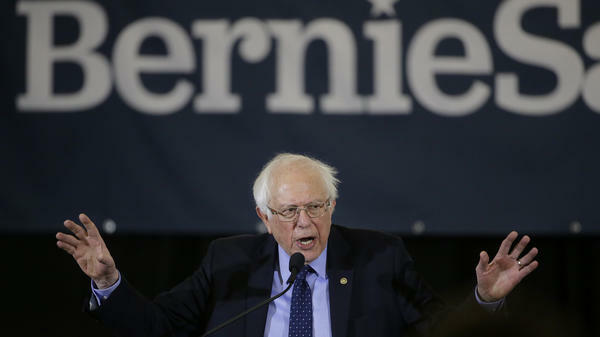 Sen. Bernie Sanders, appearing at a campaign stop in Concord, N.H., raised about $6 million in the first day of his 2020 presidential campaign, which was evidence that he has maintained strong grassroots support. A previous version of this story said Elizabeth Warren raised 0 million on launch day. She reportedly raised 0,000.